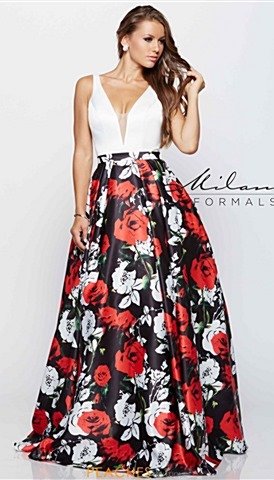 One of the biggest trends this 2019 prom season is one-of-a-kind printed dresses. 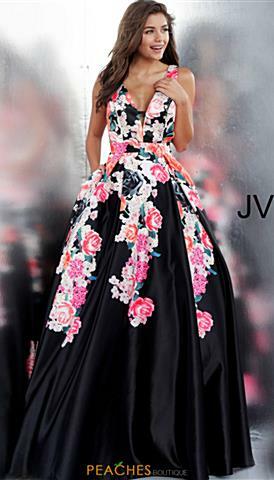 From long a-line silhouettes to short fitted dresses, we offer a huge selection of multi-color print prom dresses. 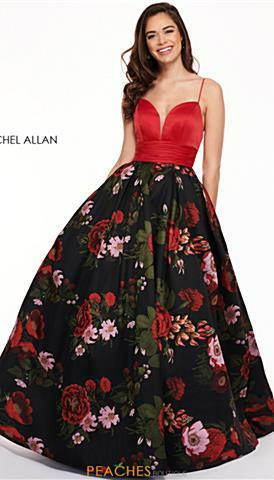 Go for a whimsical two piece style with a fun polka-dot print, an absolutely gorgeous floral number, or a trendy dress with a mixture of patterns. 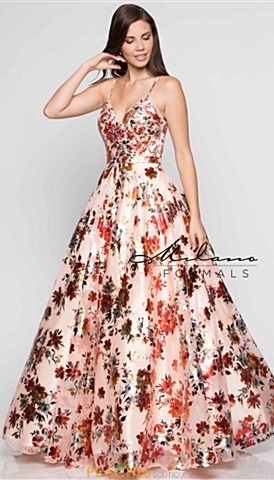 Choose from printed ball gowns or mermaids with satin bottoms, adorable polka-dot print minis with cute flared skirts, ideal for summer events and homecoming or printed chiffon gowns that will have you walking in gracefully at your next social event. 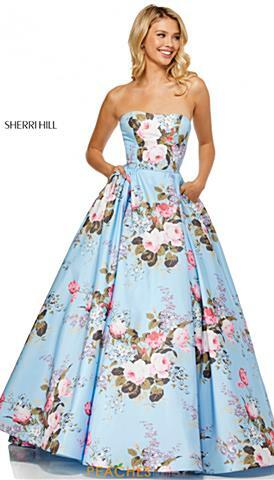 Be bold in a colorful print dress, whether you want a two-piece, a slim jersey silhouette with cutouts and an open back, or a strapless dress with a contrasting beaded bodice. 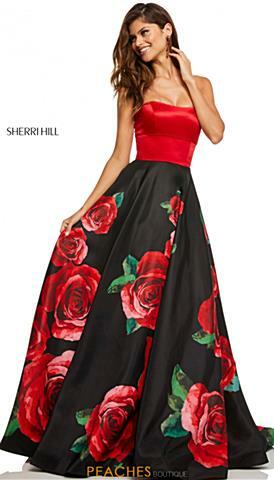 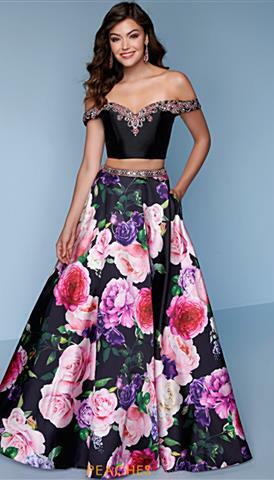 Start shopping for your 2019 print prom dress or print homecoming dress today and pay no tax (outside of Illinois). 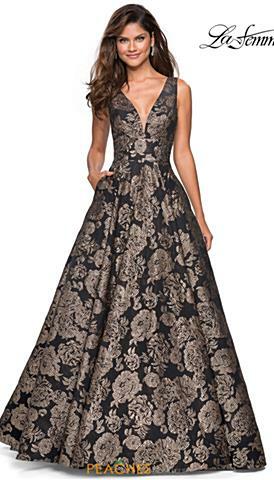 We offer exchange and returns, plus price match. 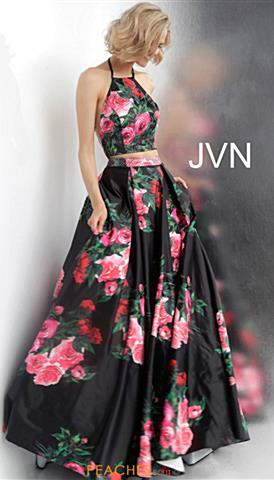 Come and shop our wide selection of print homecoming dresses that are totally alluring. 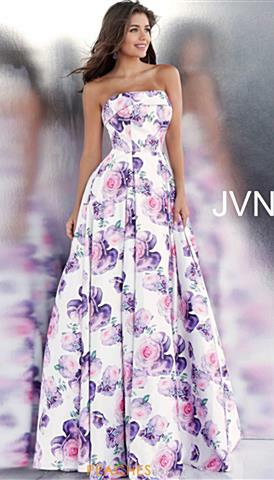 The printed gown look is so trendy now a days that its hard to pass up. 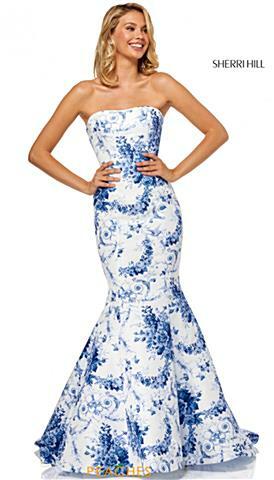 The printed dress look adds sophistication and elegance to any design as it adds a touch of drama to even the most simple looks. 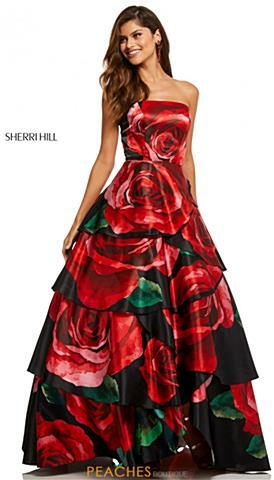 Popular designers are on the same boat, and are competing to make the most outrageously exciting new style. 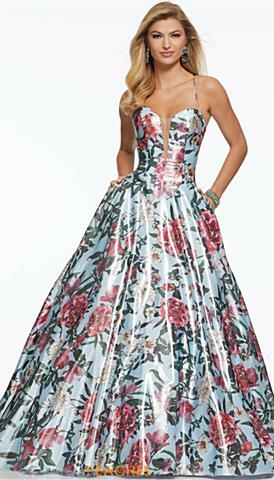 You wont want to miss out on the next hot thing, come browse our variety and fall in love with your match made in dress heaven. 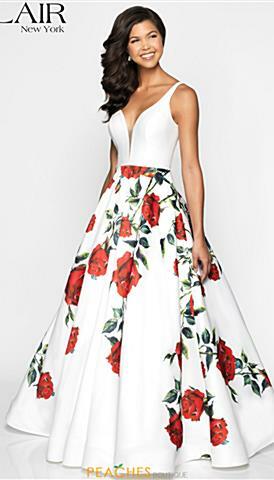 This lovely printed prom dress style has made its rounds around the world and is finding its way back on the top, get it while its hot, styles are selling out quickly.